If your business is not taking advantage of online marketing (especially SEO – search engine optimisation), you are automatically losing out on a lot of business. Good website design and integrated strategies can change your business, and even get you business when you thought there was none to be had. The classic example is the comparison of online shopping and traditional shopping methods for consumers. Online shopping means we can shop when we want, and we can shop for a whole lot more. Prices are generally a lot lower, and we can really shop around and compare what we want, and what we can get for our money. Here is a look at some ways we can use Internet-based marketing and website design to increase sales and reduce costs, even when we think the economy is down. Broaden Market Possibilities. 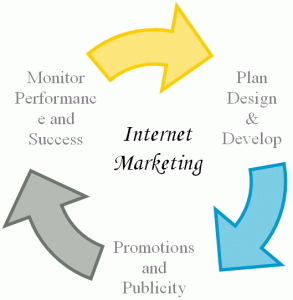 By using a website and other online communications we can reach a broader market. There are many tools to assist us. For example, we could even start selling our products into markets we have had nothing to do with before. Let’s say you are selling world-class sheepskin clothing in Australia. With a website in other languages, you can reach a broader market. Just by changing your language, you have automatically started reaching those who are not a part of your current business. If you are already selling online, the logistical management will not be a complicated issues. If you are not, then you should set up for your local market too. Reduce Current Business Costs. Most people think of a website as a place or tool to disseminate information. Your website can be a whole lot more than just a place to share information. With online banking and payment tools numerous, we can integrate this previously complicated issues into our website. Let’s say you are a real estate agent, or you are renting a property. It is very easy to use online payment tools, and make your website the gateway for your revenue collections. This is only one example, but the message is clear. A website can reduce the number of tasks we currently need to execute when dealing with customers and potential customers alike. Find More Local. Using the Internet does not always have to mean we are looking for business in a broader and wider approach. We can be looking for business in our local area with more precision and outside of our normal social reach. Australia has a perfect example of this. Australians are not using the traditional Yellow Pages phone book anymore. They barely pick it up. The company that produces it would do better to stop wasting the money printing it. Australians search online when they are looking for information on any particular product or service. Those who know how to manage marketing strategies, such as PPC (pay per click) are not busy on getting your money. Small investments will yield results allowing you to reinvest. A specialist or professional with long-term plans and realistic goals will turn your business around. Don’t believe the hype of rapid results. At the same time, you can make structural changes that will set you up for strong and stable future growth and cost reductions. Guest Post! Contact me if you would like to guest post as well as I am open to them now due to lack of time with advertising etc. !